Some of you might not know that WWV and WWVB are in jeopardy of being taken off the air. They are not in next year's federal budget. 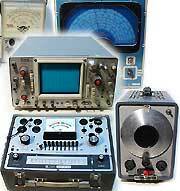 These stations are used to generate the time standards that many organizations and ham radio operators use. Atomic clocks also synchronize to these frequency standards. Please go to the link below and sign the petition to keep these stations going. I do have a First Day of Operation QSL from WWVH. One of my favorite QSL's. That is definitely a neat QSL to have Frank. Wouldn't mind seeing a photo of it if you have time someday. Let's hope the petition has the needed effect too. I will happily sign the petition- ON PAPER. Too much chance of my info being hijacked off the net. It happened several times already on petitions that were used for nefarious purposes.